Q: For various and sundry reasons there is a strong possibility I may have to take a break from my garden this year. I won't be able to plant, weed, water, etc. Is there something I can do that would help the garden benefit from this time off? I have six raised beds that are each four feet by 12 feet. In the winter they are each covered with black plastic to keep out weed seeds until spring, and at the beginning of the season when the plastic is pulled off they are perfect; just bare soil and compost. It would be nice when I do go back to gardening to have done something good for the soil while I was gone. And it would also be nice not to have it all turn into a field of weeds! I love the show and thank you so much for your help!" A: This is a great question! It's one that we get frequently, and I think I have a solution that fits her situation to a 'T'. But first I want to use a recent online 'conversation' we had about the topic to caution everyone out there to take random online advice about garden issues with a dump truck load of salt, because we ran her query on our Facebook page, and someone (almost certainly innocently) suggested "just plant wildflowers and let nature take its course". Maybe toss some wildflower seed in nearby uncultivated areas—especially if you're going to be around to look at them. But let's make use of the fact that she has well-designed raised beds and solarize that soil! We hear from so many people with really serious weed and disease problems that solarization would perfectly cure, but they either don't have well-defined areas to work with and/or don't want to give up their garden beds for a whole season. She wants to give up her garden beds for the entire season—and raised beds like hers are super-easy to solarize. It's a perfect match—and it gives us the opportunity to do a refresher course on the correct way to solarize soil; because just about every single person who has ever contacted me to say they tried it and failed did it wrong. Covering a bed with loose ripped black plastic for a couple of weeks does not cut it! You need to use clear plastic. With no holes. And it has to fit tightly over the bed. 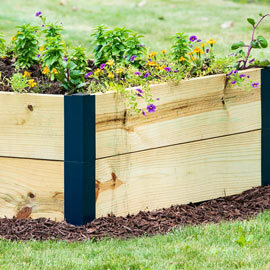 Specifically, you take each plot of land you wish to purge of weeds, pests and disease, till it all up, remove any rocks and big clumps of plant material, carefully level it out, soak it heavily—until the soil is saturated by at least 70% two feet down, then stretch clear plastic tightly overtop, making sure the sides are well anchored. Several sources suggest burying the sides of the plastic in trenches dug next to the plot to insure a tight fit. Note: The sources for this advice are University researchers who tested the practice over and over to find the most effective method. We studied lots of published articles and conducted lots of interviews to compile this information. This is not someone in an apartment making things up. And sorry folks, but the length of time necessary for this project to succeed is an absolute drop-dead minimum of six to eight weeks—and that's in the hottest, deep South and Western parts of the country during the hottest months of the year. In the mid to upper South, we're talking all of June, July and August. In more Northern parts of the country, it's only going to work if you get the plastic on by May 1st, and leave it on ALL season. 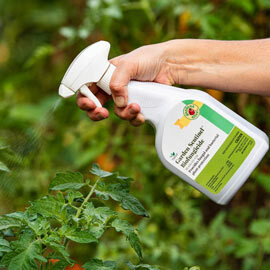 Having a hot and sunny summer that year will greatly help Northern gardeners achieve success. And if they want to hedge their bets, some sources suggest that Northerners use two sheets of plastic, which will heat the soil more by trapping warm air between the layers. The perfect thickness for the plastic? Studies show that the thinnest plastic (a mere one-mil thick) heats the soil best. But those studies also found that thin plastic ripped easily, and so a common recommendation is to lose a little bit of potential heat but gain a lot of strength by using two-mil thick clear plastic sheets. 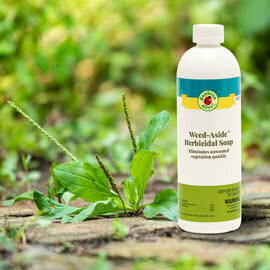 Do it right, and the process is guaranteed to kill almost all weeds and their seeds, eliminate unwanted soil dwelling creatures like pest nematodes (the opposite of the beneficial nematodes we often mention), and to rid the soil of diseases like the wilts that prevent gardeners from planting tomatoes in the same spot year after year. And it's actually good for the soil—it somehow increases the levels of nutrients and beneficial soil dwellers the following year! As we were preparing this update, we emailed Jana a link to our previous treatise on this topic, and she wrote back: "I love this answer! I have had some of the diseases mentioned in the article, and I love that this means I don't have to 'just do nothing'. I can do something that helps instead. Thank you!"